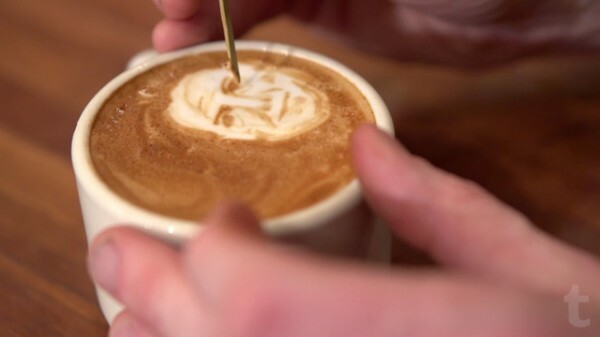 From the folks over at Tumblr Storyboard, shot an interesting vignette about barista Mike Breach who began experimenting with small coffee and milk foam portraits in a hotel kitchen where he works. Breach draws quick, intricate portraits that are enjoyed by a single person for only a moments before being consumed. He says the drawings in and of themselves are “kind of a joke” but he’s more concerned about the brief connection he’s able to make with an individual and how it impacts their day. Posted April 7th, 2013 in Latte Art. 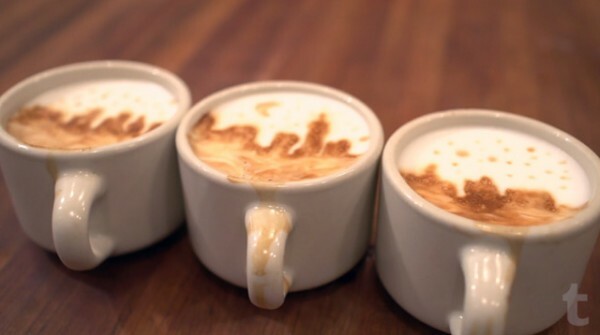 Tagged: latte art.